When Taiwan's Lanshu Chen said she would close Le Moût by year-end, food lovers across Asia were genuinely surprised. 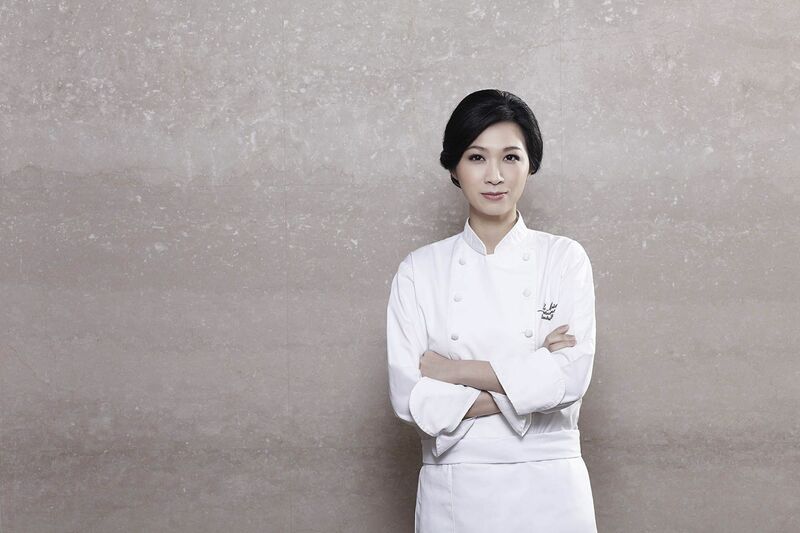 The restaurant opened in 2008 and seemed to be growing from strength to strength, debuting at No 24 to become the first Taiwanese fine dining restaurant to earn a place on the Asia’s 50 Best Restaurants list in 2014; Chen was also named Asia’s Best Female Chef the same year. But the 37-year-old chef-owner had also chosen to make the announcement to shutter Le Moût only days before the launch of the inaugural Michelin Taipei guide in March, which left some wondering if she was disappointed that the guide only featured restaurants in the country’s capital, leaving out Taichung where Le Moût is located. After all, Chen’s flair for reinterpreting French dishes using Taiwanese produce and cooking methods are renowned within and outside Taiwan. She has thought about opening in Taipei but prefers the weather and what she feels is a “more livable environment” in Taichung. With speculations on the rise, she tells T.Dining Singapore Tatler why she has decided to close her French dining room in its 10th year, and hints at plans to open elsewhere. Why have you decided to close Le Moût? I find that the demands on a chef of a restaurant of international standing in the current environment have exceeded what I had initially signed up for. Given how we started—when Taiwan was not well known for its (offering of) western cuisine—and our location in a second-tier city, I felt gaining visibility was necessary in order for a restaurant of our scale to survive and to do well. And I had really wanted to do well. I also wanted my team to get the recognition they deserve. So, I engaged with the media and did PR (public relations) work. This work takes place outside the kitchen and goes beyond what a chef is trained for. It is not what I thought I would be so occupied with as a chef. But it got to a point when I felt that all these traditional and social media engagements were taking up too much of my bandwidth; not to mention, they were not things I enjoy doing. So, at the start of this year, I made the decision to close Le Moût. Do you feel it’s a pity to quit now, when Taiwan is finally being recognised on the international culinary scene? When I first started, I thought it would be nice if the Michelin Guide came to Taiwan. We even had a long-term vision to get that accolade. But in the past 10 years, my perspective has changed. We were very excited when we became a Relais et Châteaux member. Next came the Best 50 list. We have got some recognition (Le Moût placed at No 28 on the Asia’s 50 Best Restaurants list in 2017). I no longer feel that I need the Michelin star to know my team has done a good job. Does this decision have anything to do with finding yourself time-strapped in your roles as mother and wife as well? Wanting to spend some time with my family has a small part to play in this decision but is not the main reason. My 10-year-old boy was born in the same year as Le Moût, you can imagine how busy I was (he is currently living with her ex-husband in Taichung). My second son from my second marriage is two years old and is staying with me. We (at the restaurant) have come very far in the last 10 years. By 2015, I had already built up a strong core team that is able to function on their own even when I have to go away for a while. With less than half a year to closing, what can diners look forward to? We have some exciting collaborations lined up. Diners can look forward to four hands events with Hiroshimi Nakamichi of Hokkaido’s Moliére in November. Jean-Francois Piége, who is my mentor, will be coming in December. What are your plans after Le Moût’s closure? Not many people believe that I don't have plans to open in Taipei. They would ask me and I would tell them the truth, but a week later, they ask me again! As of now, we have not even received a proposal for a collaboration. I don't rule out doing fine dining again in the future, but I have no plans currently. Yes, we were invited to Singapore last year but discussions fell through. I don't want to move to Hong Kong even though my husband’s family is there. I find the pace of life there too frenetic. I really like it here in Taichung. We have a few small but fun projects here that will keep me busy—a speakeasy just across Le Moût and a recently opened gourmet beef noodle shop called Gubami which currently serves only 30 bowls a day. There’s also Choux Choux, my four-year-old patisserie.